Jalal ad Din Muhammad Rumi known as ‘Rumi’ in English was a great mystical poet, jurist, theologian and master of the spiritual world. He was born in Wakhsh or Tajikistan on 30th September 1207. His name literally means ‘Roman’ as he lived most of his life in the area called ‘Rumi’ which was ruled by the Roman Empire. He belonged to the Persian heritage. Because of the quarrels taking place in Khorasan, his family moves to Konya, the Anatolian city (Present day Turkey). His father, Bahad ud Din Walad was also a mystic from Wakhsh and his mother was Mo’mina Khatun. The family was a religious one starting from the previous generations and Rumi carried on with the family tradition by preaching the Hanafi rites. 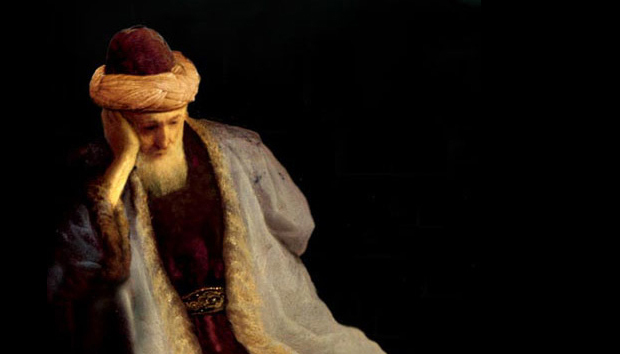 At 24 years of age, Rumi was an able religious scholar and positive science expert. His Prose works include ‘Fihi Ma Fihi’ or ‘In it What’s In it’, ‘Majāles-e Sab’a’ meaning ‘Seven Sessions’ and ‘Makatib’ which means ‘The Letters’.